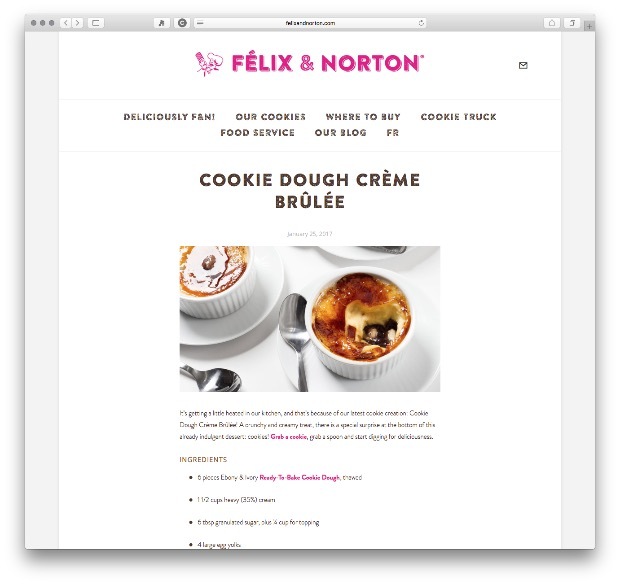 Felix & Norton, an iconic Montreal brand, sell high quality frozen cookie dough. The brand had an opportunity to expand from their core Quebec market to national distribution. 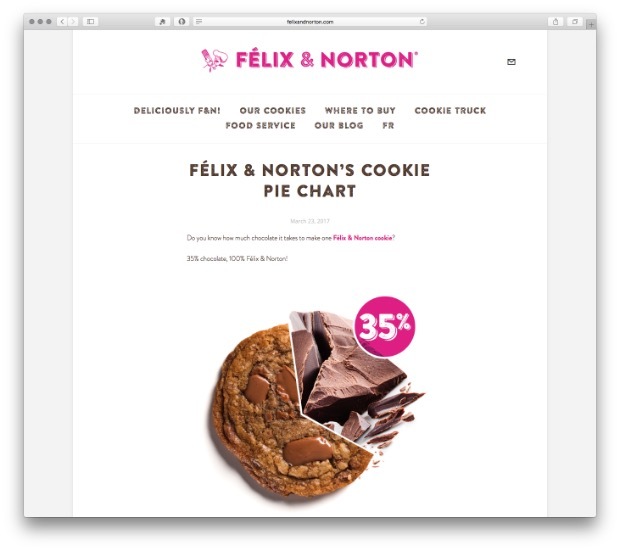 In order to support this expansion, a Canada wide social strategy needed to be created with the goal of creating national awareness for Felix & Norton and guiding consumers unfamiliar with the brand to retail. We created distinct content streams across three core platforms, Facebook, Instagram and the brand's blog aimed at foodies and cookie lovers from Halifax to Vancouver. We used YouTube for video hosting. Diverse and engaging posts, with a focus on video, that highlighted different usage scenarios helped to sell more cookies to adoring fans and first time buyers alike. Additionally, a podcast created with food and cultural influencers supported sales in the core markets. All photography and videography was created in our food photography and food videography studios, with culinary content created by the Nourish test kitchen. Felix & Norton frozen cookie dough is listed in Loblaws stores across the country. Our culinary experts came up with recipes to use the frozen product in new and innovative ways which were communicated in recipe videos, supported by a media buy. Welcome to Félix & Norton’s “Dessert” Island (it’s like a desert island, but sweeter)! You can bring one book, one album, one podcast and one flavour of Felix & Norton cookies. Each month, we welcomes a cookie castaway to sit down and make these tough decisions. 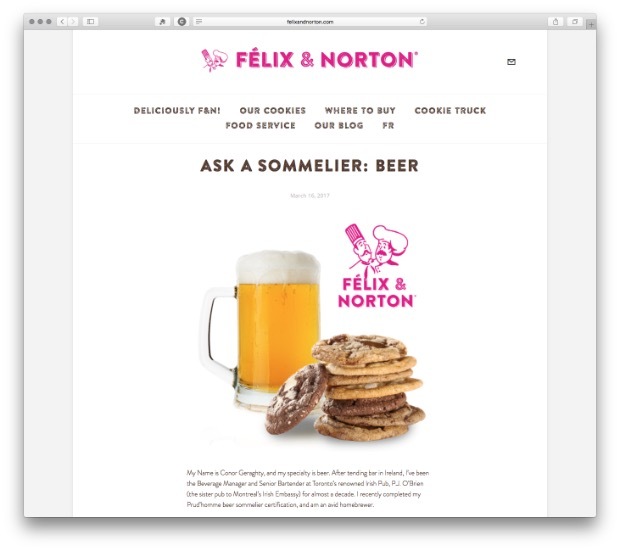 We created engaging content in partnership with well known sommeliers, pairing Felix & Norton cookies with wine, beer, champagne, cheese and other treats. Snippets of the content created micro posts across social media. Fun content, using the cookies as a core visual ingredients, communicated product benefits in an engaging manner.